Where do you store your ironing board? 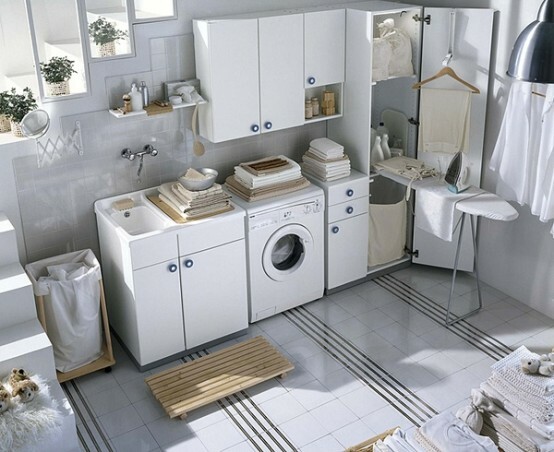 Some people prefer it in their laundry room or spare bedroom. I personally enjoy the convenience of having it my bedroom closet. When I am getting dressed and find that something needs a quick press, I don’t have to go far to get my iron and ironing board. Unless you enjoy streaking through your house half naked! I know storing an ironing board can be a challenge for some, especially if you have a small place. The board is awkward in shape, not attractive to look at and big to store. 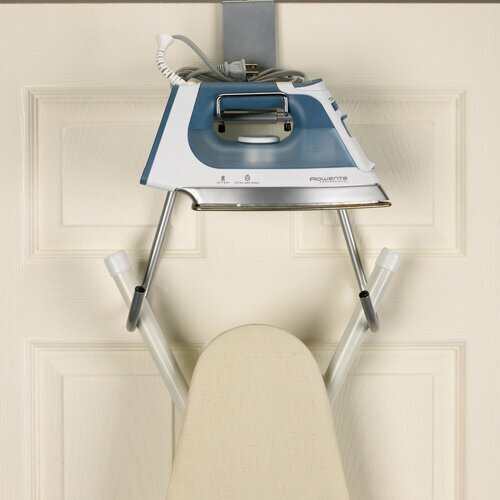 There are simple things you can do to store your ironing board and keep it away from sight. Check out some of these great ideas. “Built in” cabinet for your ironing board. Mount it on the wall and have enough storage for the iron, starch and other supplies. When I had a walk-in closet, I preferred to use an over-the-door holder/hook just like this one. I love learning about sneaky ways to hide things! This is very clever and a great use of space…it’s a board tucked away in a hidden drawer. If you are REALLY tight on space, there is a product (magnetic ironing blanket) you can use on top of your washing machine. Previous post: Organize Your Home in 60 Days – Online Course!